the boy is back! pase ocean! it's huge this blog is fire again! If only all of our Live at Homes looked this good. :Ahem: Darko. nice one PaseRocku ............put this on the server if DS isnt gonna host it ETERNALLY!!!!!!!!!!!!!!! I don't know how to put it on the server yo. Pase do you have a white sherman clay piano in your house? If you do you are the boss. I do have a white Sherman Clay Piano in my home, actually it's more like ivory than white. What he said! (Put in on some vinyl or some plastic or something I can keep.) wow. Very nice style to start the text, I hope you can still posting this kind of issues, maybe we can find more favorites jams trough the blog, anyway the tracklist wasn't bad enough, I enjoy each song. This is really a great stuff that you have shared. Thanks for sharing and great job done. I admire the valuable information in this page. Buy Zocor Online will bookmark this page and have my friends check up here often. I am quite sure they will learn lots of new stuff here than anybody else! nice post.. its really good, i like the way you have posted this wonderful and useful article.. thanks for the post..
this post is quite is interesting. I like this brilliant post. Hi. Many music lovers will surely love your tracks. They are so relaxing and soothing to the ears. You really have such good taste on choosing the right kind of songs. Good luck. what a great release! you have a great music taste! congratulations! HI! The songs in your tracks are amazing. I really enjoyed listening to them. Thanks for sharing. Hi there. I am interested with all sorts of music and these tracks fit my taste. Now, I have an expanded track list. Thanks so much. I hope really nice one....! It;s great that you find time to post some of your tracks here. It's nice that We can listen to them here. I like all of your tracks. Thanks for posting. Hi author, Details are very true and factual, I do really learned something new upon reading this interesting post. Good job! and Thanks! Hi there, I listened to some of the tracks listed here, They are so soothing to my ears. Thanks for posting. This is definitely a promising tracks. Hello Author. Almost all of my favprite songs are listed here on your list. Never thought they would make it on your list too. Hi there Admin. I'm in the mood to sit down, relax and listen to these tracks. Thanks for the suggestion. Hi Author. I'm happy we have the same genres of music.Thanks for listing down my favorites. It's an interesting approach. Generic Drugstore commonly see unexceptional views on the subject but yours it's written in a pretty unusual fashion. Surely, Generic Clomid will revisit your website for additional info. Really amazing....... Need more like this. Great job. Great selection of songs... Nice job! Like this post... I'm listening now to the tracklist you shared. Hello. Awesome tracks man. I really searched them on youtube and listened to the,. Thumbs up to this post. Hi there. Fabulous playlist man. Wish you update it every time. Thanks. Wow! Nina Simone is in the Number 1 spot. I like her songs so much. She has a very soothing voice. Hi. Almost all of my favorite tracks are here. We share the same taste of music huh? Hello. Music calms the soul. Great track compilation. Thanks so much. 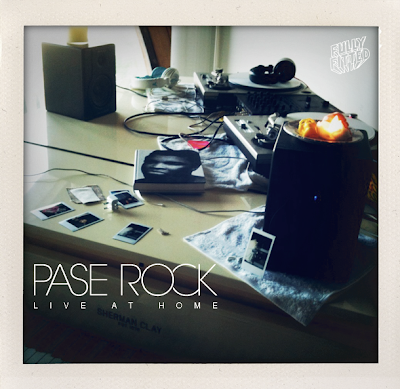 Hello Pase Rock. I have nothing more to commend in your music choice. So cool and updated man. Thanks so much. Hi there. I can really be a rockstar with these music. So cool and awesome. Post some more please. Hi Pase Rock. Nina Simone is really in on top huh? No wonder. It's a cool track indeed.